“One Enchanted Evening IV” Left -> Right: Co-chair, Peggy Cravens; Vice President of Wells Fargo Private Bank, Gary D. Hall; and One Enchanted Evening IV” Co-chair, Jean Carrus. PALM DESERT, CA – College of the Desert Foundation hosted a ‘Sneak Preview’ and Sponsor Reception for their fourth annual “One Enchanted Evening” at the home of Co-chair, Jean Carrus, on November 3, 2010. Approximately 70 guests, including community leaders, sponsors, and VIPs, attended and were treated to a ‘Sneak Preview’ of what is in store at this year’s performance on the evening of Thursday, February 24, 2011. “We're very excited about our forthcoming production of “One Enchanted Evening IV” -- and equally excited and pleased to have the continuing support of WELLS FARGO as our Presenting Sponsor again this year,” stated Cravens and Carrus. “Wells Fargo has been tremendously supportive of many different charities here in the Desert. Their support of College of the Desert in these difficult economic times is greatly appreciated by the many who could not otherwise afford to get a college education, were it not for this fine Community College and the continuing support of Wells Fargo. This annual production is the major fundraiser for College of the Desert Foundation, with proceeds promoting educational success through scholarships, services, and much-needed programs for the students we serve at COD." Carrus and Cravens continued. “One Enchanted Evening IV” Left -> Right: Producer and Musical Director of “One Enchanted Evening IV,” Paul Cracchiolo; and Broadway Star and Tony Award Nominee, Donna Theodore. “I believe the need for community colleges today is greater than it has ever been in the past, and I am also supporting “One Enchanted Evening IV” to provide critical support and quality accessible educational opportunities for students from throughout the Coachella Valley,” stated Gary D. Hall, Vice President of Wells Fargo Private Bank. “One Enchanted Evening IV,” College of the Desert Foundation’s primary fundraising event of the season, will be performed on stage at the McCallum Theatre on Thursday, February 24, 2011. Some of the most talented performers from throughout the Valley will be featured, including Alumni from past College of the Desert musical productions with Broadway Star and Tony Award Nominee, Donna Theodore. Paul Cracchiolo and Downstream Productions created this year’s performance. 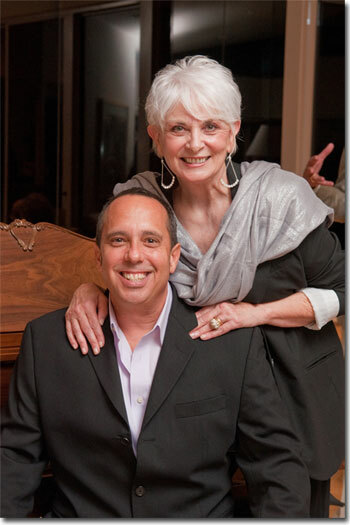 Mr. Cracchiolo is Producer and Musical Director of “One Enchanted Evening IV.” This community event, benefiting the community college and featuring community talent, is being Co-chaired by two of the Valley’s leading philanthropists, Peggy Cravens and Jean C. Carrus. Penny and Earl Mason will be this year’s Honorary Chairs of “One Enchanted Evening IV.” The Masons have been long time supporters of College of the Desert and actively involved in other philanthropic efforts throughout the desert. Media Sponsors of this year’s event include Palm Springs Life, Progressive Talk AM 1450 KPTR Palm Springs, and Season in the Sun Desert Save the Date Book. For additional information on the event or to purchase tickets call the McCallum Theatre Box Office at (760) 340-ARTS (340-2787) or visit www.McCallumTheatre.com. Sponsorship opportunities are available. For more information please contact Colleen McBride, College of the Desert Foundation Director of Development, at (760) 773-2561. The Mission of the COD Foundation is to enhance the quality of higher education in the Coachella Valley and encourage public and private support for College of the Desert. The Foundation’s Vision is to positively impact the lives of students who are striving to achieve a purposeful education and to enhance the communities of the Coachella Valley and beyond, by providing them with the professional benefits of our skilled graduates. The College of the Desert Foundation has raised more than $35 million in support over the last 12 years, has given the College over $15 million and manages assets, such as Endowments, of over $17 million. Through these funds, the Foundation will provide vital support for programs and services to benefit College of the Desert and its students for generations to come.